Can now be done online. The registration portal (link Below) is now open. Full Year – $210.00 Includes both track and field, Out Of Stadium (OOS) competition and track training fee. 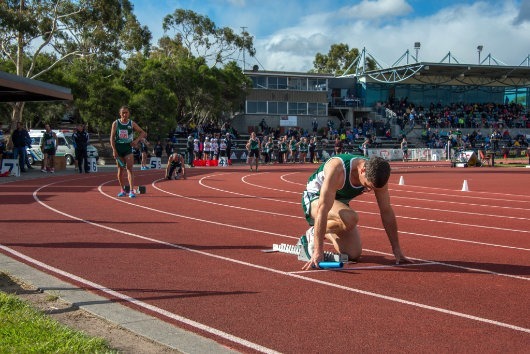 Track and field registration only – $190.00 Includes All Year T&F competition only and track training fee. OOS Registration with track training fee – $85.00 All Year and OOS competition only. OOS Registration only – $30.00 All Year OOS Competition only. Fees are applicable via the AT Registration Portal at the address above with Athletic South selected as the Branch. If you are already registered, or have been in the recent past, please use the “Log in” button to register. Please don’t do it as a new registration. If you are a member of another club remember to nominate the club you want your points to go to. If you are not a member of another club then select TMA as your club. For Northern members wishing to register and compete for TMA in AT and branch competition, please contact the TMA President at [email protected] . For members wishing to compete in OOS competition and / or be considered for AT Championships prior to the start of the 2019 Winter season (e.g. Cadbury Marathon), you will need to register now. Please note: that the above registrations are separate from the TMA memberships which are due on 1 April each year. Please email the TMA Registrar at [email protected] if you have any questions.